After purchasing a paintball gun why do we need to have the best paintball barrel? What does this extension actually do? A longer barrel will make it easier to aim. Hence hitting your target will be easier. The best paintball barrel can influence your overall shooting performance. 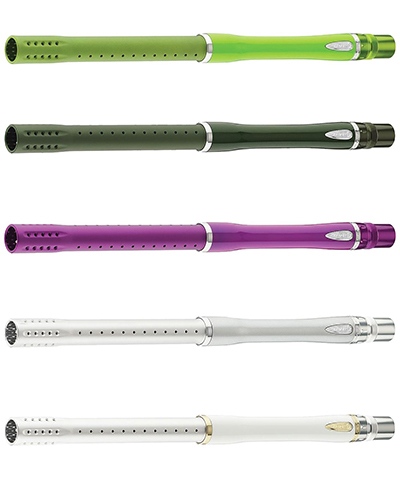 So, without any doubt paintball barrel is one of the most important parts of your marker. You need to choose the best barrel. To help you to choose the best one we have short listed some best paintball barrels after researching online and spending hours in testing. One of the finest and lightest barrels available in the market. The 14 inch version weighs just about 50 grams and the 12 inch is 45 grams. Do you want to know how strong they are? Well, these are strong enough to drive over them and still be intact. DeadlyWind Null Carbon Fiber barrel has a straight bore with an inside diameter of 0.688 inch. This is overall good for both pros and amateurs. Unbox and ready to use and can be used on any type of marker. Ques: Is it reliable for speedball? Ans: Yes, its good for woods ball guns as well as for speedball gun. Ques: Is it a good fit for tippman cronus or tillman x7 phenom? Ans: Yes. It fits perfectly. Ques: Can I use it with inserts? Ans: No, you can’t. And honestly you actually don’t need them! Awesome barrel. The best value in barrels that money can buy! Recommended. I have read reviews where professionals wanted to give it 10 stars out of 5 ! This barrel even reduce noise level more than your expectation. The best thing with this BT Paintball 14″ APEX 2 barrel is the adjustable ramp switch with 9 levels of control to customize the level of curve and spin! Amazing. Easy to disassemble the barrel without any tool makes it easy to maintain. Not lightweight but again not that heavy too! Cleaning: Yes, if a ball breaks in the barrel, you will need to disassemble. But remember disassemble is easy and tools free. Q: Why is the end so big? A: It contains the flap, which you can adjust to put a spin on the ball. It also gives the look of a silencer! APEX 2 barrel’s are like cheating. And it’s awesome! However, if you feel like having the ability to curve shots is cheating, you can just leave it in Flatline mode. No issue. You will be happy with your purchase. This is another model you can check with the same feature available in BT Apex 2 Barrel. This barrel can turn a novice maker into a pro! You can shoot around 300 ft or even more with accuracy. You can even get 55 degree turns, which is amazing. Its a great sniper barrel. Click here to check more which marker this barrel fits well. 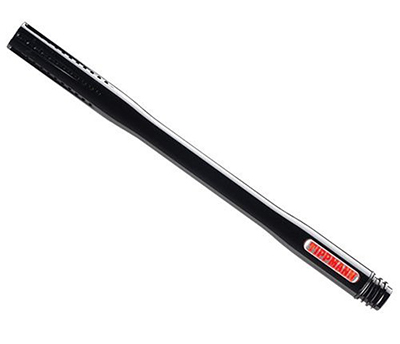 The Flatline Barrel has patented technology for creating backspin for level accurate shots. The Flatline Barrel is designed for longer ranges up to 250 feet. Q: Will paint break into my gun? A: If you maintain it nicely and keep it clean, the answer is No. Q: Can I remove the fore grip from the barrel? A: No. Its a part of the barrel. Better accuracy compared to stock barrel with basic paint balls. Some people having issues with the barrel. And most of them complained about accuracy. I agree with this, you can’t expect to shoot ticks off a bull at 85 yards, but you can get within 8 to 12 inches. Very light weight and more or less like the Null. Available sizes varies from 6” to 18”. The only Deadlywind barrel of the CF series that is compatible with Smart Parts Freak items (freak barrel kit). This piece is so highly customizable and can be used for various purposes depending on what inserts you add. Mostly dedicated to professionals, still can be used by anyone. They utilize the Freak(tm) replaceable inserts, and hence one barrel and a few inserts will do the job of multiple barrels. iii. A super slick “Silkfiber” inside that can be safely swabbed. Q: Will this fit with Tipman 98 custom? A: No. It requires Autococker thread. Check more what fits with this barrel nicely. 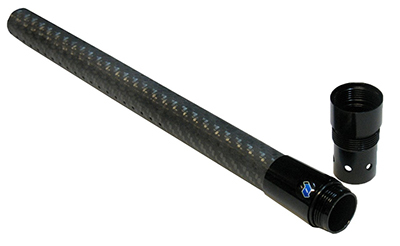 A durable carbon fibre paintball barrel. However there is one issue that most people face. The barrel has two parts. The barrel and the adapter. The threads of the adapter is in the opposite direction from the barrel. So if you try to tighten the barrel too much it will decouple on the reverse threading. Be careful about it and you will love this barrel and probably blown away! The new DYE Glass Fiber Boomstick is the next evolution of the Legendary Dye barrel lines. Glass Fiber “GF” technology allows amazing strength and durability. Question: Which barrel should I get? The .684 or .688 for dye proto rail? Answer: Porto rail has nothing to do with autococker threading. The caliber is simply based on what type of paint you generally use at your local field. Caliber size is labeled on the case of paint you purchase. .688 accommodates most sizes. The GF/CF Boomstick barrels are the most accurate, quiet, and efficient barrels available currently. A little bit pricey but great barrel as it is quite, sleek and accurate. Tippmann, a premier manufacturer of innovative, durable and high-performance paintball markers and accessories founded in 1986. 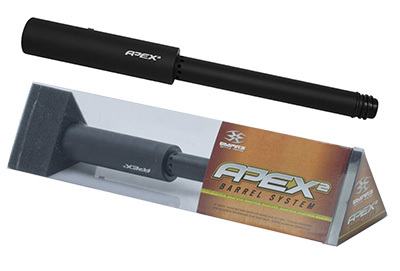 This Sniper Barrel was designed for cleaning marker barrels quickly and efficiently. The spring loaded design can push out debris or pull out broken material from the back end of the marker or barrel. The Tippmann sniper paintball barrel provides long shooting distance and greater accuracy than a standard barrel. It’s a good choice for the player who loves to shoot from long distances and have preference to use sniper like guns. It fits Tippmann 98 Custom and Custom Pro paintball markers easily. Distance: Tippmann Sniper Barrel doesn’t advertise on the length of the shot, still it will cover couple of yards more with a nice little boost. Design: Do you care about the design? Well its very sleek and long. Simple one piece design. Just twist it on and go! Area of fire: With this barrel you are increasing accuracy. So the projection of the paintball will fire straighter. Tippmann barrel shoots straight and consistent distances. If you use good paintball this barrel is very consistent. An awesome product for it’s build, quality, finish, performance, look and feel. Whether you are new or an expert in playing paintball games you need to know the key factors before choosing a barrel for your maker. If you are pro level player, you just need to know about the latest release, technology etc, so information is the key for you. You need to be updated with the updated information. If you are in the beginner stage or just have a new paintball gun, below is the 5 key factors you need to consider when purchasing the best paintball barrel for you. Thread – Its obvious that the one on the barrel needs to match the one on the marker. Otherwise they won’t fit properly. There are couple of standards like Tippmann, Spyder, Dye, etc. Length – The barrel size. The longer the barrel is the more accuracy you get and the more speed you lose. The best paintball barrel length for most paintball players is a 14 inch barrel and you also have option to get a paintball barrel extender for added precision. Bore – the internal diameter of the barrel. This needs to be matched with the diameter of the paintballs used. .68 is the best paintball barrel bore size and also the most common one. Vents – the holes drilled in the barrel to vent extra pressure. The closer they are to the marker the more silent your shot will be and the more speed you will lose. Material – some materials (ceramic, Teflon) are smoother so you can use paintballs with thinner shells, others are rougher so you will need tougher shelled balls. The shell affect the breaking of the balls, the thinner the easier they will break upon impact with the opponent. Choosing the best paintball barrel is not actually challenging if you just know the basics of it. We recommend to go for ceramic paintball barrel as they are smoother than other barrel. Compare the pros and cons. And consider your budget. Hope this blog helped you to pick the best paintball barrel for you. If it helped please let us know in comments. Will appreciate. Hi, I am Margaret J. Garcia. 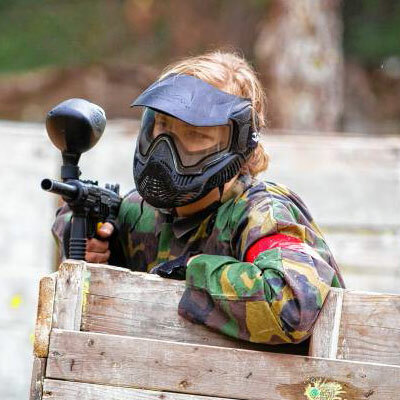 Involved in paintball industry for around 10 years now. Loved to share my experience, expert opinion here in Paintball Magazine.